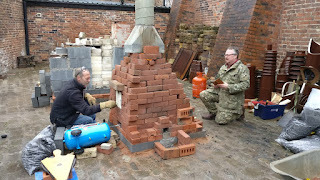 ... and how to build it in atrocious weather! 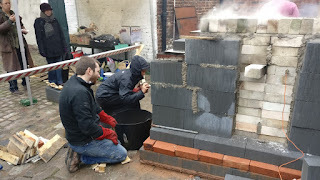 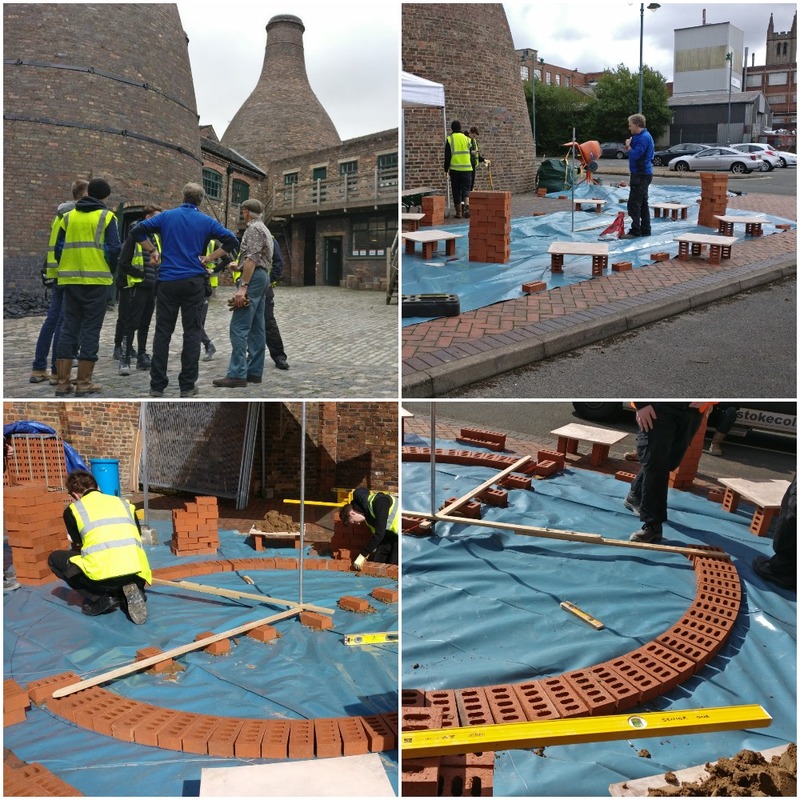 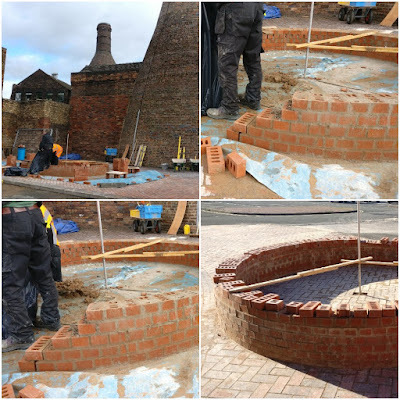 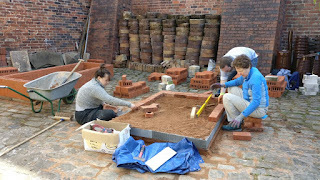 Students and staff of Stoke-on-Trent College (Burslem) demonstrated the techniques of how these great structures were built. 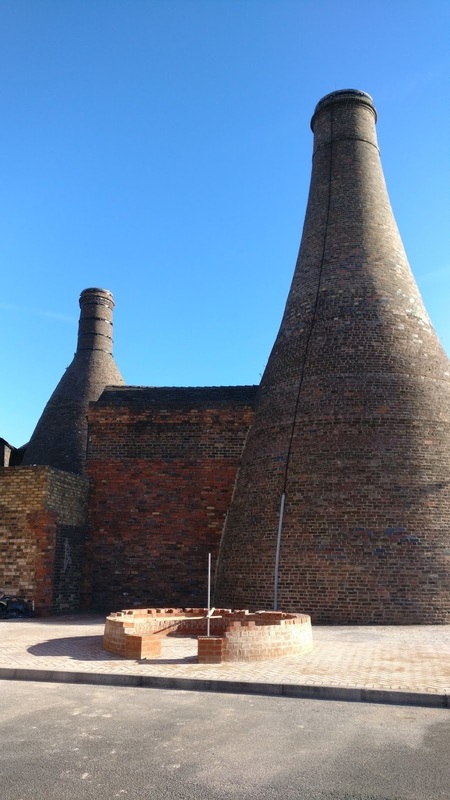 Around 60ft high with a base diameter of 24ft, their construction relied on skills which are far less common today. 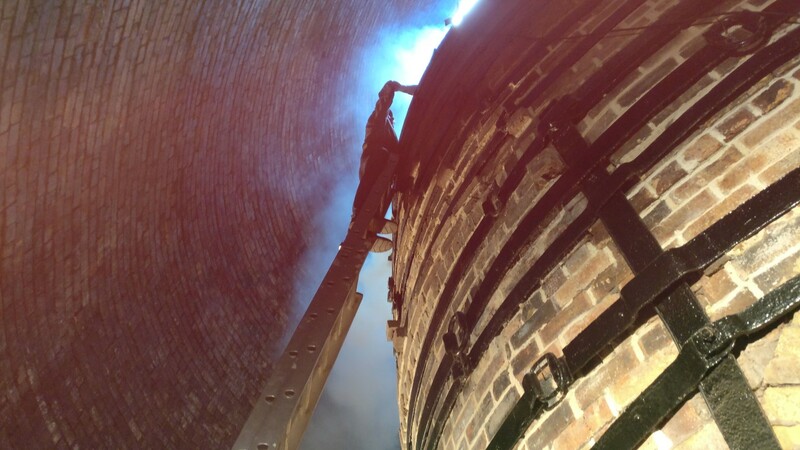 Curved bricks, tapered bricks, insulating bricks, blue engineering bricks and fire bricks were used, and scaffolding, as we know it in a modern sense, was minimal. 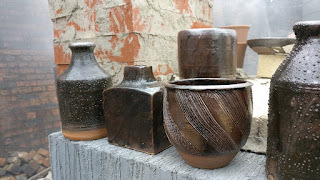 Large tapered structures like these required very skilled craftsmen and many unusual construction and building tools to create the bottle shapes required. 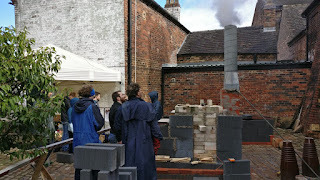 Building was done on the Gladstone car park for all to see. 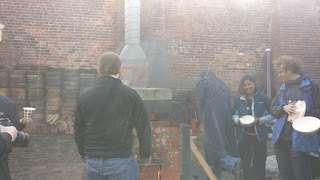 Then the weather turned nice again! 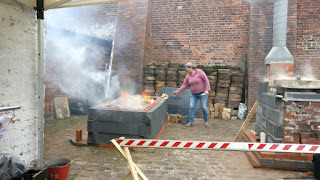 21 and 22 September "CLAY, SMOKE and FIRE"
Images and movies from "Clay, Smoke and Fire!" 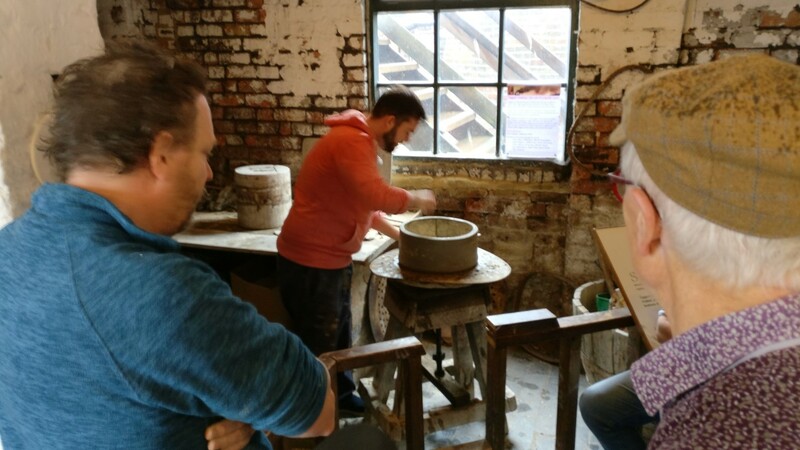 on Friday and Saturday 21 and 22 September 2018. 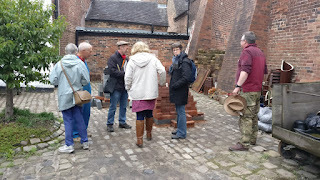 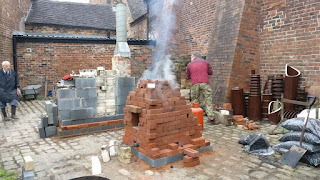 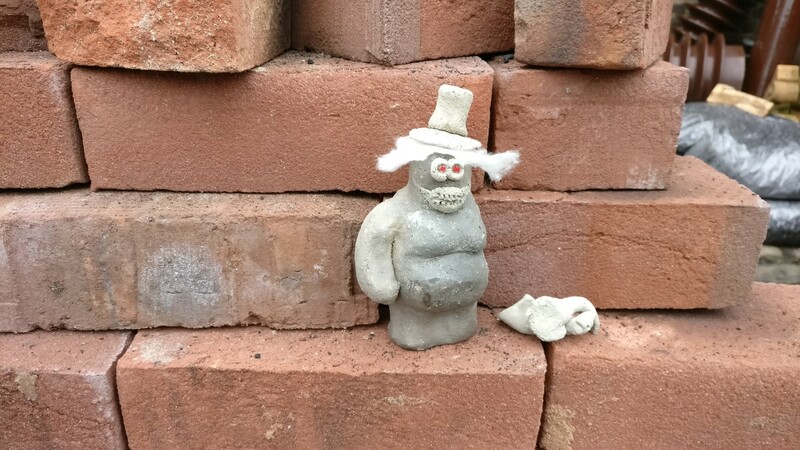 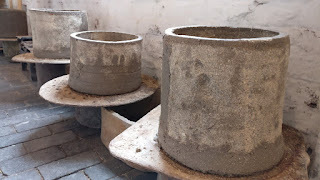 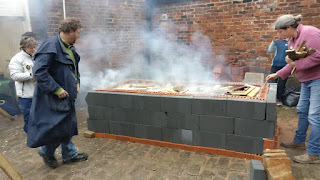 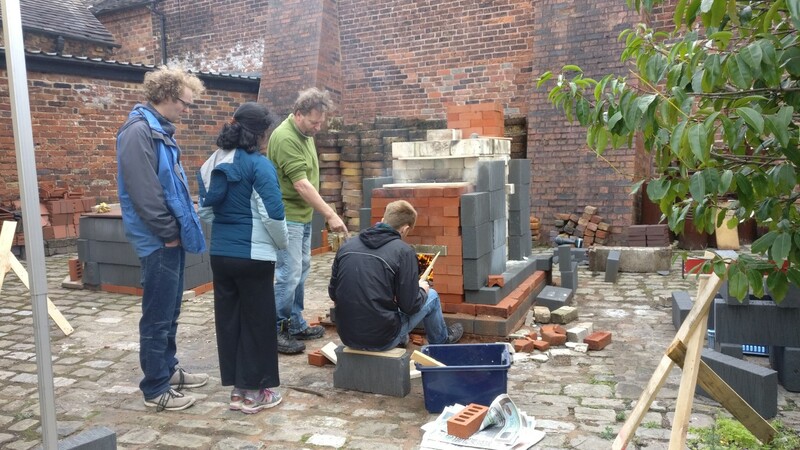 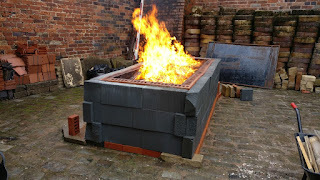 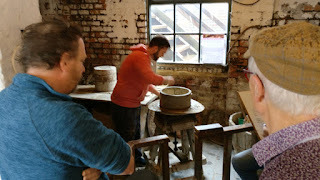 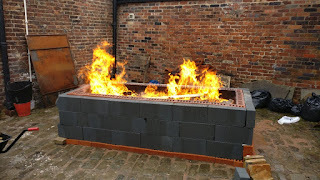 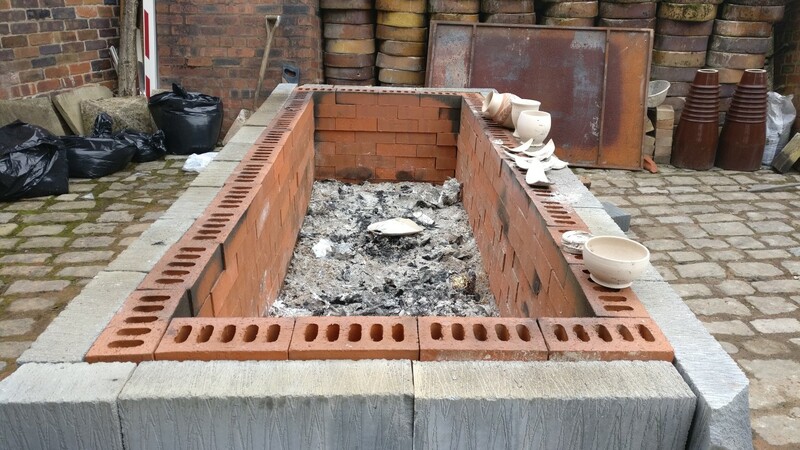 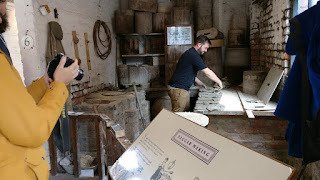 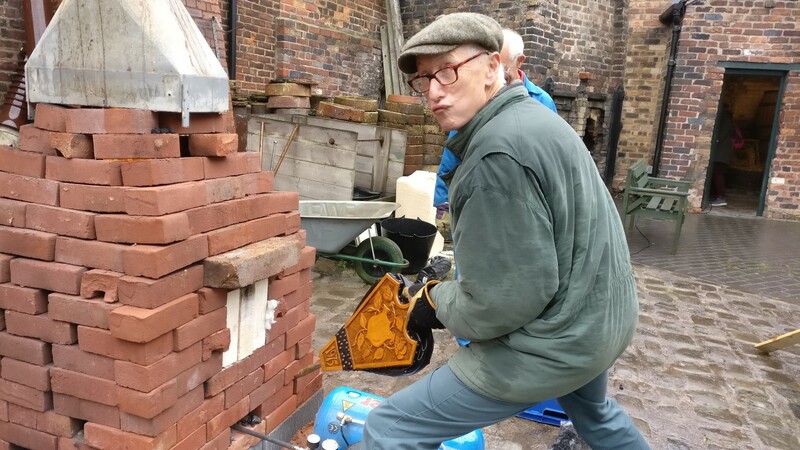 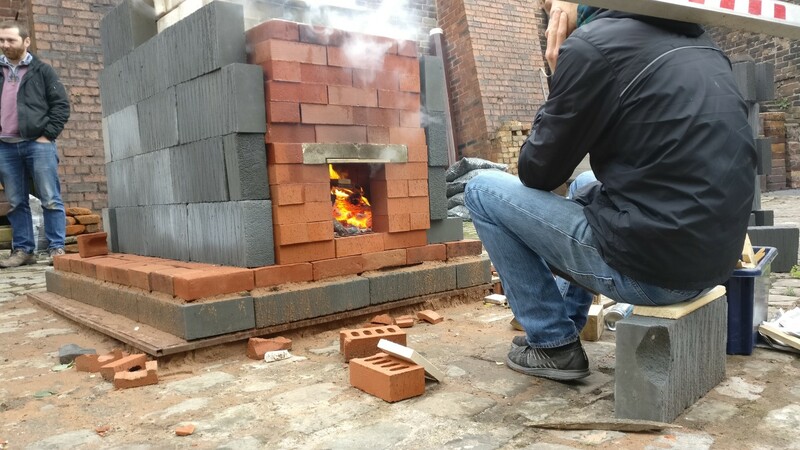 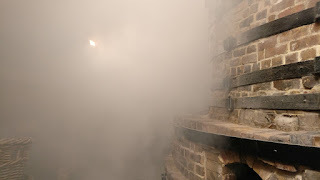 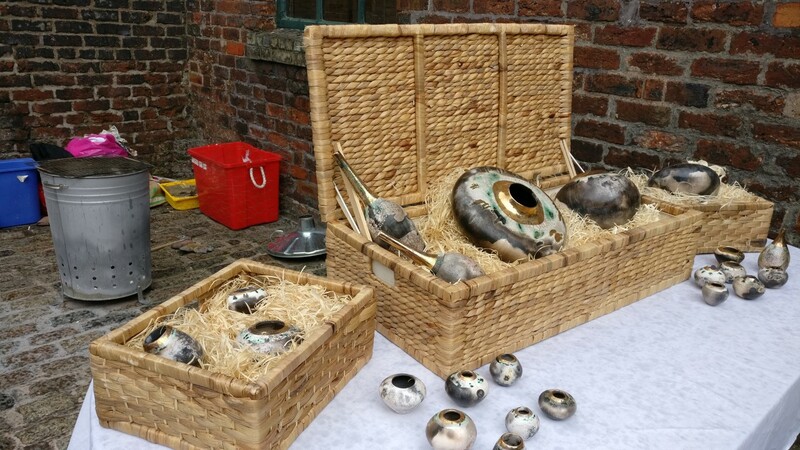 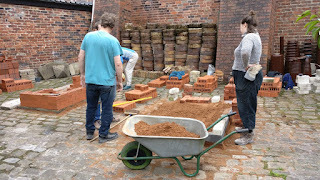 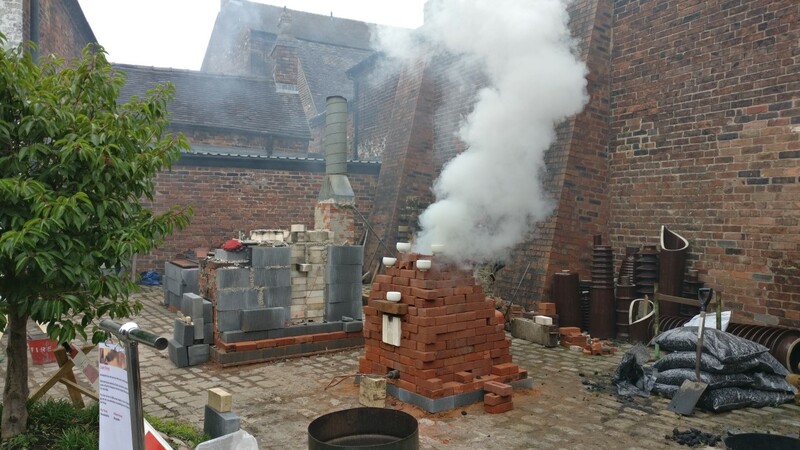 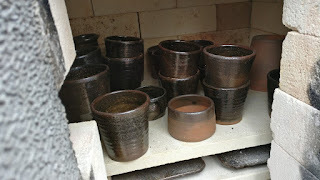 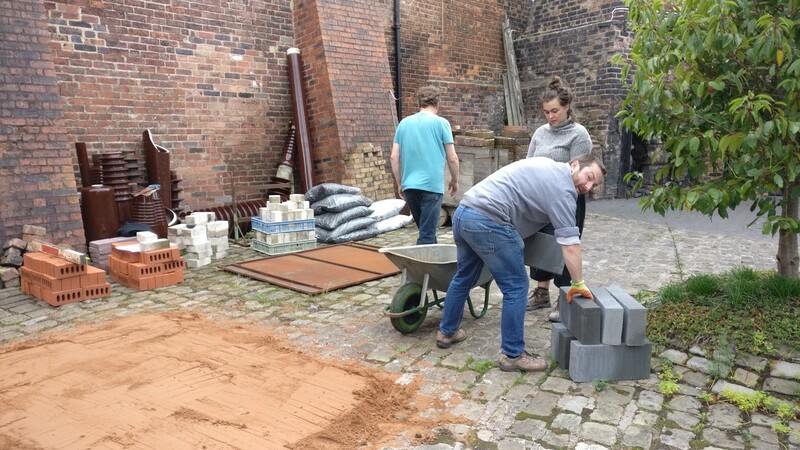 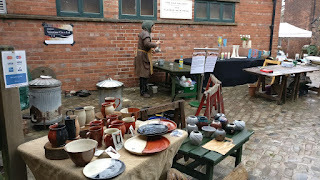 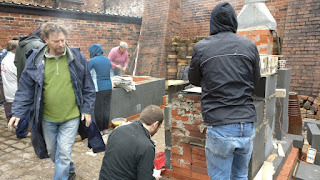 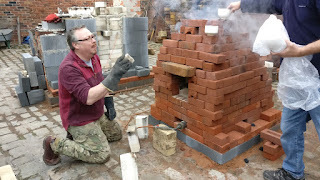 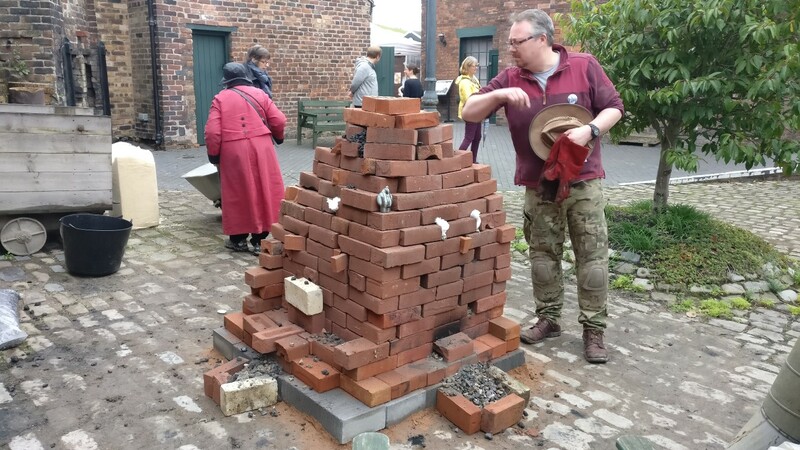 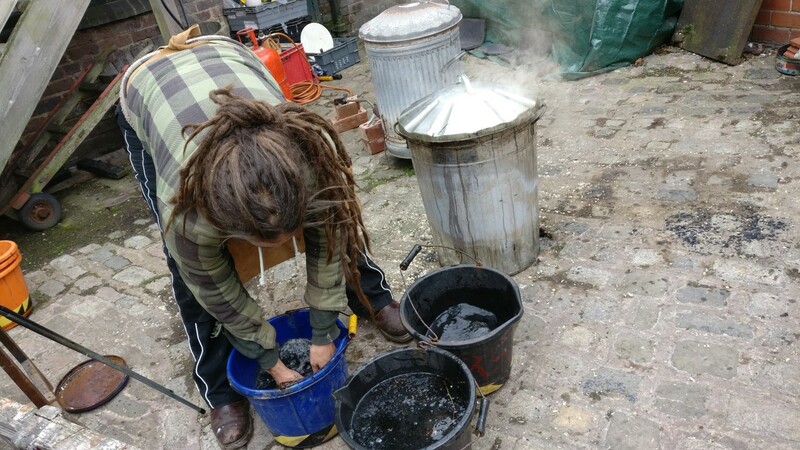 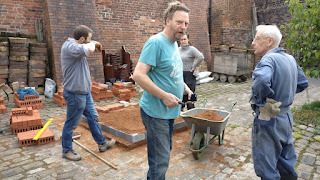 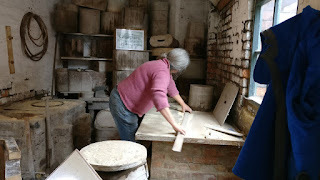 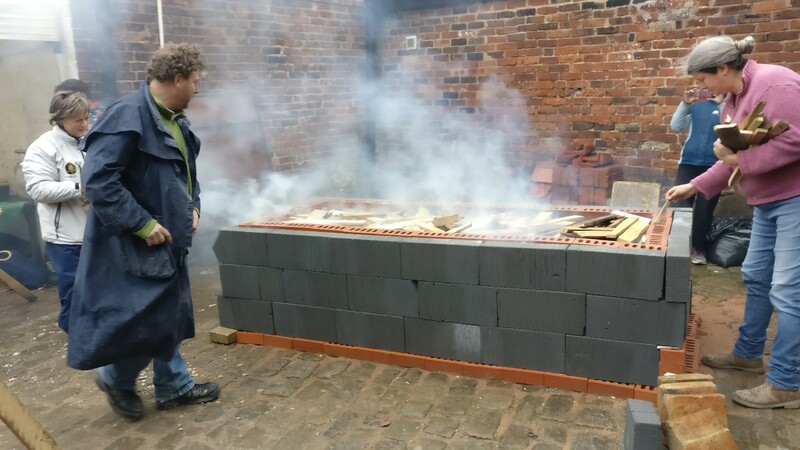 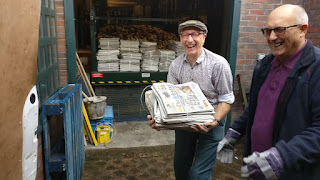 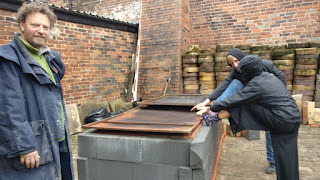 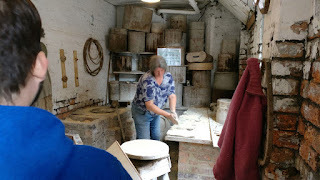 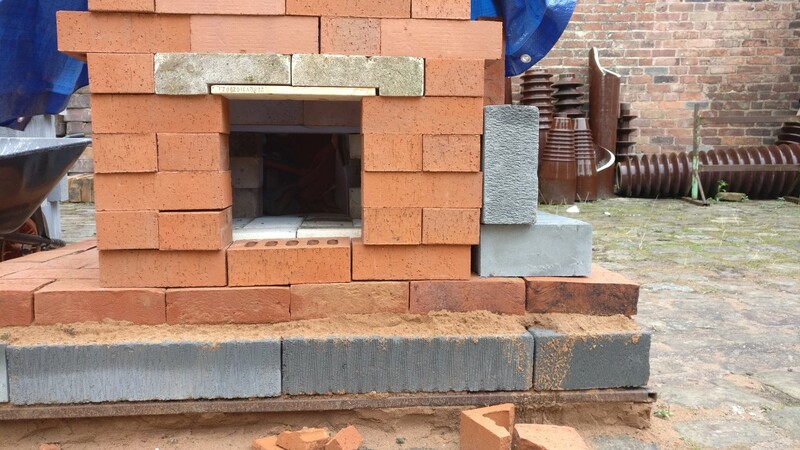 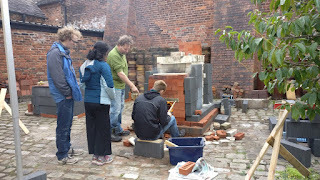 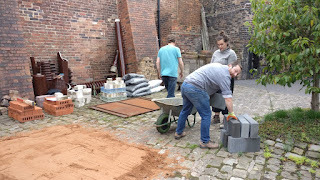 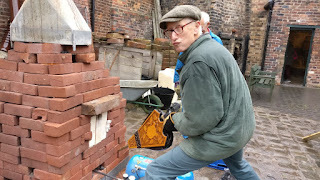 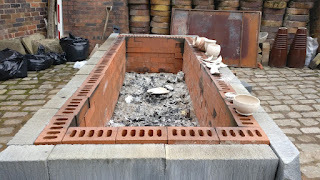 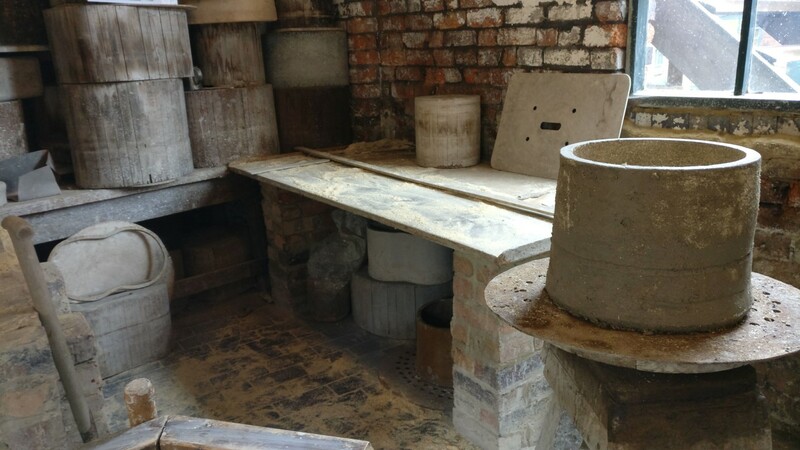 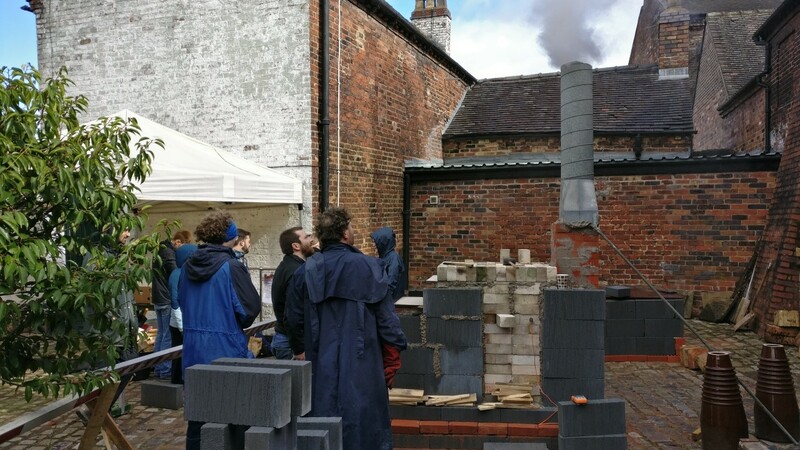 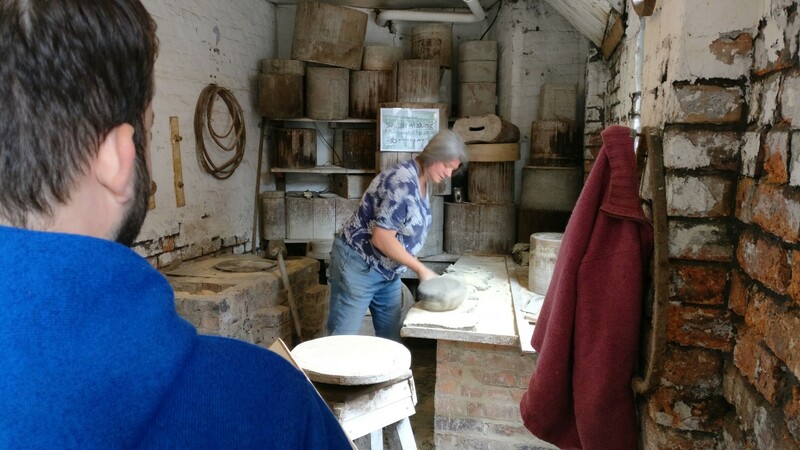 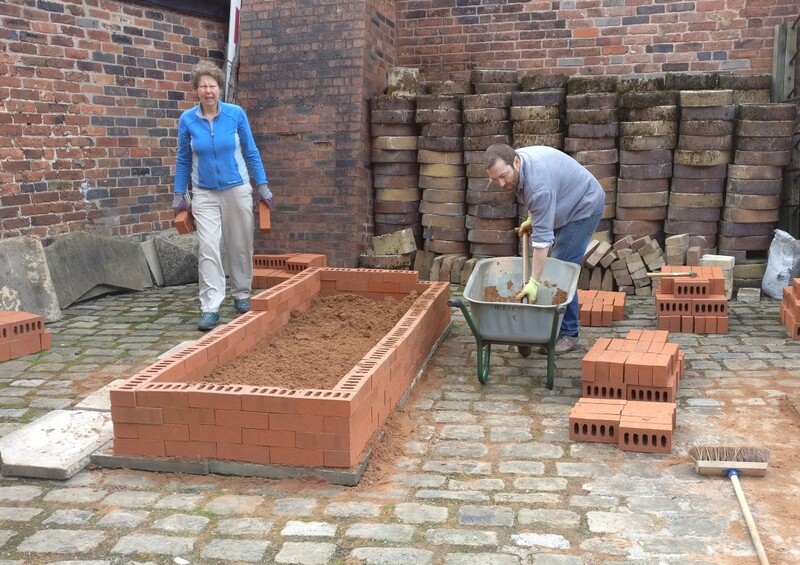 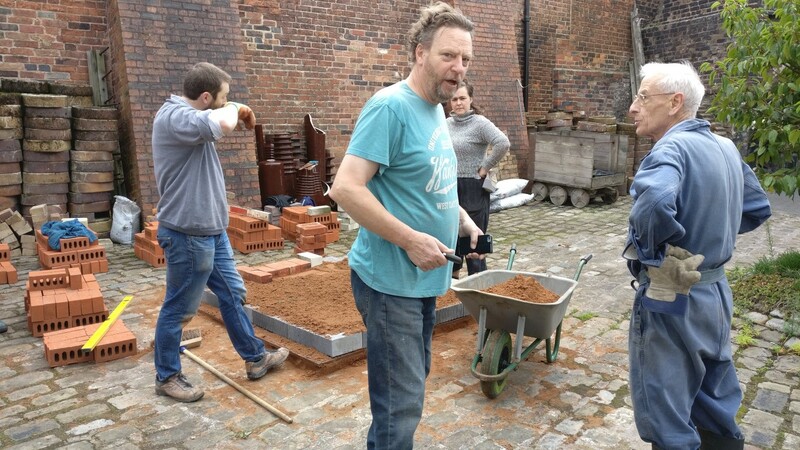 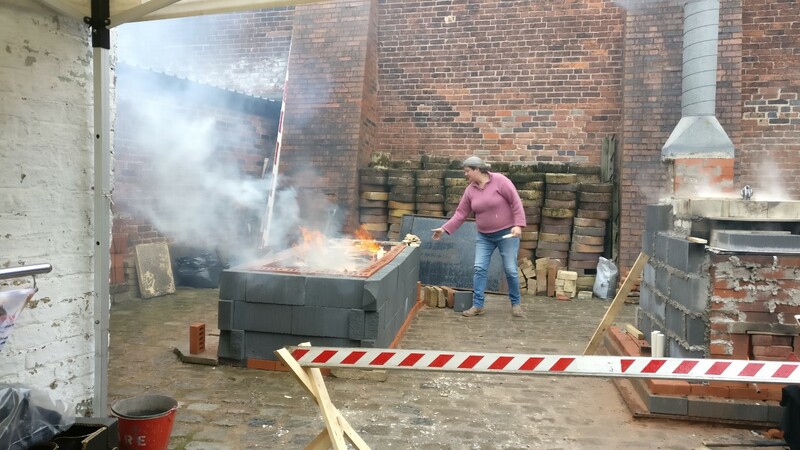 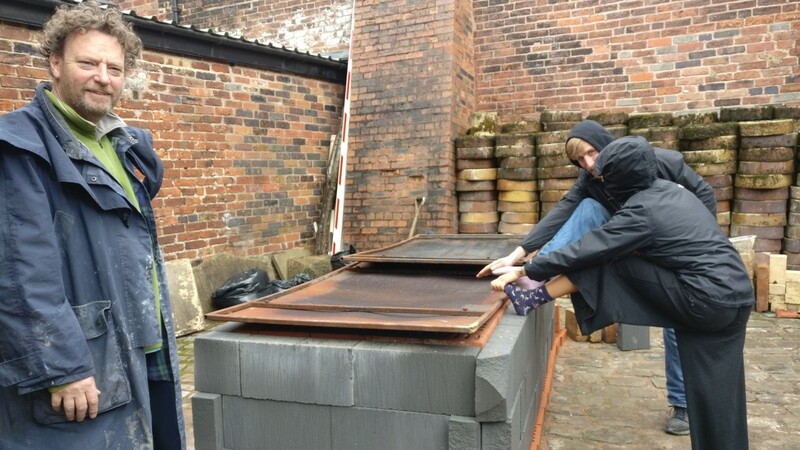 The 40th anniversary of the last firing of a bottle oven was celebrated with two days of special activities, including additional demonstrations of pottery skills, smoking ovens and, of course, the saggar makers bottom knocker! 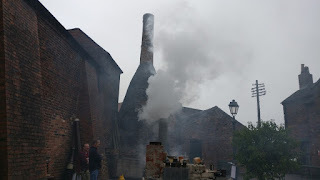 The author of this "The Last Bottle Oven Firing in The Potteries" blog makes no comments, edits or information uploads to Wikipedia.